Small shelters – underestimated, often overlooked – but just like hobbits in famous movies based on books by Tolkien, small can make a big difference. 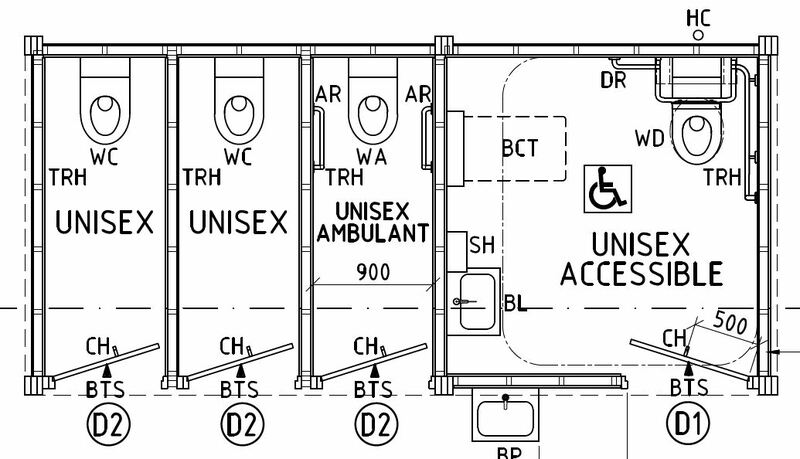 If used in concert with other park structures, small shelters can make a difference of epic proportions. 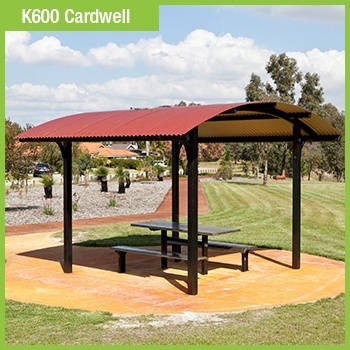 Within its extensive range of park shelters, several small park shelters stand tall, including those with gable, pyramid and curved roof. 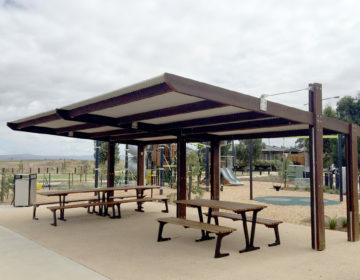 The first thought by many councils or developers is to place a barbecue under a large shelter, together with picnic settings. However, this can sometimes lead to smoke build-up in a populated area. It can also create awkward moments if one group is still eating and socialising, and another group wants to cook. A small shelter may be the answer. A Furphy barbecue on a slab, beneath a small shelter will allow barbecue chefs and cooks extraordinaires to cook without being sunburnt or assaulted by the elements, and it will allow those eating under the large shelter to do so without smoke and awkward crowding. Some choose to position public barbecues on a slab in the open, but shading the barbecue with a small shelter could lengthen its life span. 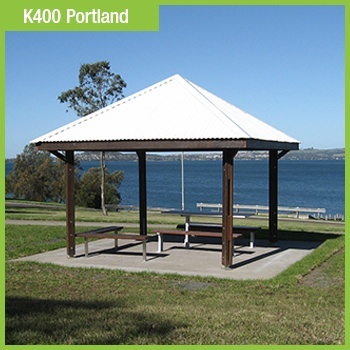 Small shelters can also allow councils to shelter the public with a smaller environmental footprint. 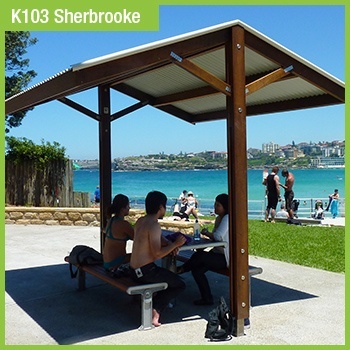 For example, if a certain location has a spectacular view, small shelters with seating beneath allows the public to enjoy the magnificence, with minimum disruption to the overall landscape. Small shelters are also the choice for noticeboards and fishing cleaning stations – highly practical with a small footprint on the environment.